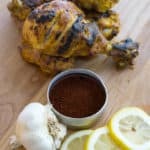 We are constantly getting recommendations to make low-carb Indian recipes and one I used to eat often was similar to this Easy Tandoori Chicken. The difference lies in nutrition, not in flavor! I had to play around with a couple different marinades in order to get this recipe down since the traditional recipe uses yogurt. I also wanted to keep the spices as simple and widespread as possible, so you won't see anything too out of the ordinary below! Don't Be Intimidated By Indian Cooking! At first, Indian cooking can seem very intimidating, almost to the point you don't want to attempt it on your own. Although totally understandable, it's important to know the secret - you can't go wrong! All you have to do is add the flavors and seasonings a couple at a time and taste test as you go until you find your desired spice and flavor levels! It's honesty what I do and I guarantee every other person will give you the same advice in regards to Indian food. It's all about taste testing and being spontaneous, which makes it fun and far from scary! Growing up in an Indian household and traveling to India every year with my dad, naturally I fell in love with the cuisine. It's no real guess that Indian food is my all-time favorite. That being said, Indian food isn't the most keto friendly food, especially when attempting to eat out. We knew we had to make our own recipes and share them with you. Our favorite is keto butter chicken, and it pairs great with our low carb naan! We also have a chicken saag for all you spinach and potassium (hehe) lovers. 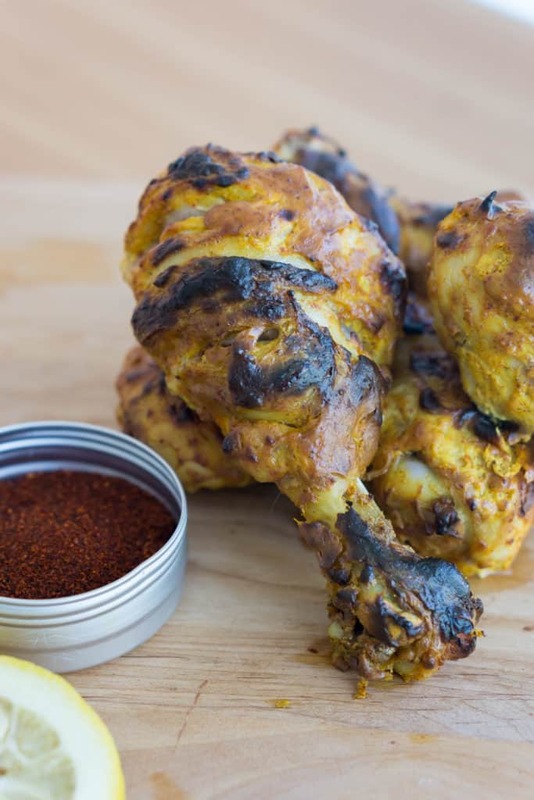 If you don't like tandoori chicken, no worries. We've got you covered with our other favorite Indian recipes above. However, we think you'll find that this recipe will change the way you look at Indian food. When a lot of simple, yet powerful flavors can be combined to create such a beautiful eating experience, you have to give it a shot. 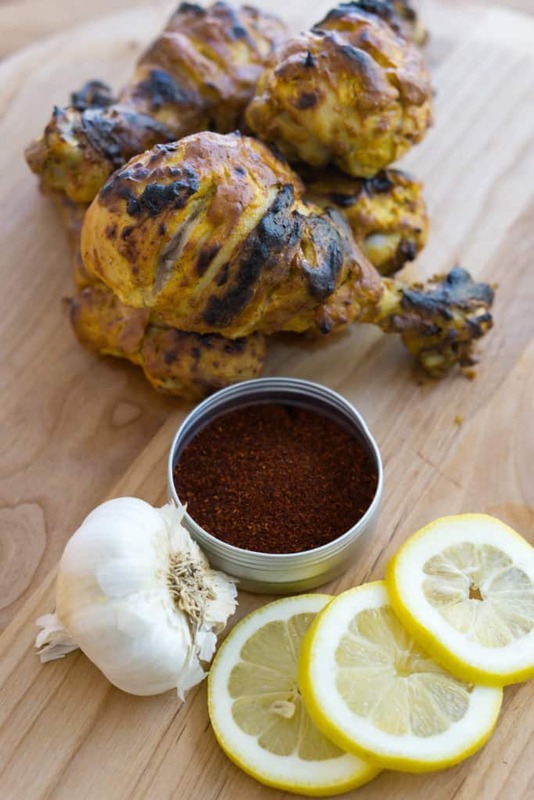 This Easy Tandoori Chicken won't take up much of your time, but it will change your life! Note: the nutrition reflects the amount of marinade used (not all of the ingredients), since part of it is removed prior to baking! 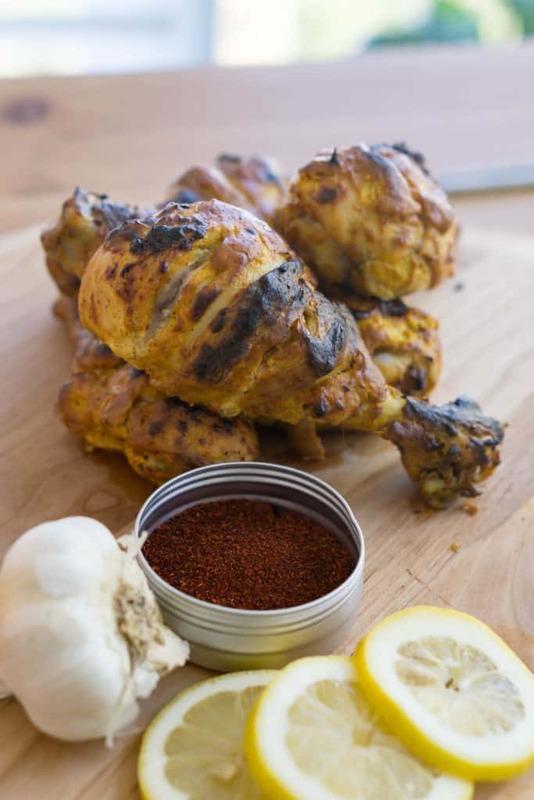 Recipe can be quickly added to MyFitnessPal - Search "KetoConnect - Easy Tandoori Chicken"
Place all the drumsticks on a cutting board and pat dry with paper towels. If desired, carefully cut the tendons at the bottom of the drumstick by slicing around the circumference all the way to the bone. Make 3-4 slits into the meat/skin width wise using a knife. Set aside. Add all the above ingredients, except for the chicken, to a large bowl. Combine using a spoon. Add in the chicken and thoroughly coat them, using your hands to rub the marinade under the skin and into the slits you made. Cover the bowl with saran wrap and marinate, preferably overnight, but for at least 6 hours. Preheat the oven to 450 degrees F and place a rack onto a baking sheet. Remove each piece of chicken, one at a time, out of the bowl and wipe any excess marinade off the chicken (the flavors will have seeped into the chicken) and place on the baking sheet. Repeat until all are on the sheet. Bake for 22 minutes and then broil for 1-2 minutes, if desired. Serve immediately and enjoy! Store in a Tupperware container in the fridge up to 4 days.